Ask the Matriarch: What’s Your Spiritual Practice? Wouldn’t you know that this week’s post is coming to you a day late, on the week when the question is about how we are spiritually disciplined? 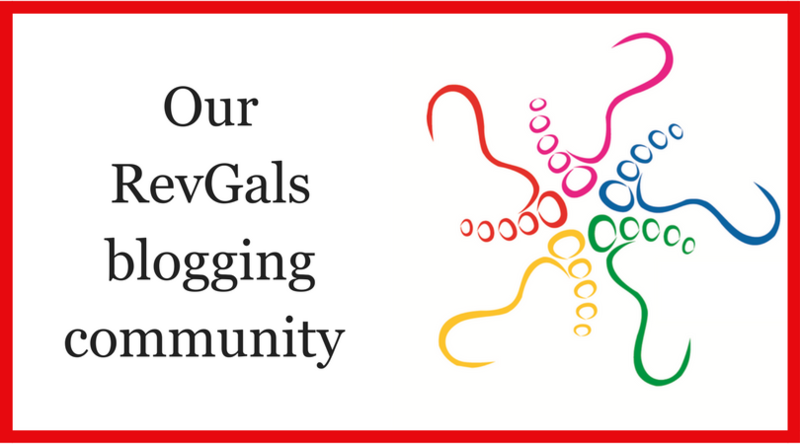 I have enjoyed the recent RevGalBlogPals feature sharing spiritual disciplines. I wonder if I am the only one who struggles with what to do, when and how. I would love to hear from you Matriarchs. 1) Do you have a regular spiritual practice? 3) What are the benefits? What would be missing from your life/ministry if you stopped? One healthy thing I did: With the realization that relationships with other women are essential for our health, I selected a group of (5+ me) strong, faith-full clergywomen within a 60 mile radius. We covenanted to meet for two hours plus lunch monthly. We rotated locations in private space (homes or a neighboring pastor’s church) where we were not accessible. We prayed with and for one another, talked, shared concerns, worked our way honestly around the wellness wheel, promised to give honest feedback to one another, supported, encouraged, and challenged one another. We set personal goals and shared them, and then held one another accountable. Wonderful, wise, strong group of leaders. It took work to set it up, but oh, so worth the effort! We all found it invaluable. It was rare that anyone missed. That alone spoke volumes. I am spiritually undisciplined. There! I said it. I have tried a variety of things but then my mind wanders or I get bored or fidgety. There are some activities though, that I find help me feel spiritually connected. I am fortunate to be a part of a seminary community where I can worship and not be the leader, but I also do a lot of supply preaching which feeds a different part of my soul. I read every night. I find that good stories enrich my life and I whither without them. Having an e-reader with a lit screen has allowed me the time to read without disturbing my spouse. Worth every penny! I have been working on my DMin off and on for four years. The courses I have taken have helped me stretch and be renewed. Finally, I connect with other clergy women and men, quite often the connections are electronic, which hasn’t lessened the importance of those friendships in any way. I have learned over time that the best spiritual practice for me is to pray while I walk. I am very kinesthetic and the repetitive movement of steps creates a meditative space for me. Outdoor walking and praying is ideal because of sight and sound and smell but when the weather is not cooperative, indoor walking works just as well. It has taken a while to carve out the time to walk in the midst of busy days but the more I walk, the more I desire to walk. And as one who is a strong extrovert, walking is my quiet, alone time with God. I walk with a wooden walking stick which was a gift from a friend. All in all, I find that when I move while praying, I am able to connect more easily with my spiritual side. I like to read Scripture and pray in the morning after I drop my son off at school. That said, it’s not a perfect practice because sometimes meetings get scheduled, or I feel distracted by something like not having anything written for my Sunday sermon. My goal is to get through the whole Bible in a year, and I give myself a lot of grace if I don’t get to it that day. I just try to get back to it. So it takes less than 365 days to read through the whole Scripture on the schedule I made for myself, but it may take longer than 365 days for me to complete it. But it’s ok. I give myself grace. It’s better to get through it slowly than to quit. Honestly, I wouldn’t quit because God speaks sometimes in such creative ways. It’s probably because I am not reading it to study or preach on it. This works for me so far, but I try to be flexible year to year. How about you, dear reader? What spiritual practice have you always wanted to try? What do you do regularly that feeds your spirit? Please join the conversation in the comments below. Are you feeling stale or stuck in ministry? What new thing would you like to welcome into your life or ministry? Send your scenario to askthematriarch (at) gmail (dot) com and let’s start a conversation! Rev. Sharon M. Temple is a United Church of Christ pastor serving in Nashville TN. 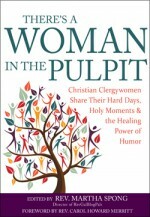 She is a contributor to the RevGals book, “There’s a Woman in the Pulpit” and blogs erratically at Tidings of Comfort and Joy. My husband and I do a daily devotional, just before bed. I have often thought that it would be better to do it in the morning, but that doesn’t work for us. Also, I have two devotional books – one from Iona, and one by Frederick Buechner on my night table, which I read last thing at night. These would also be better in the morning, but when I wake up, I need to get out of bed immediately. I try to do a daily examen – and I do that at different times during the day, depending on what is happening. I have seen that many of the women in this group are also spiritual directors, as am I. I have many spiritual practices, and I often switch them up — some may be better for one season of my life than another. But one long-term discipline I have is seeing my spiritual director once a month to check in with where God has been working in my life and are there areas where I could be listening more for the Spirit. A spiritual director is great for helping you to answer for yourself the questions you posed. They are great for helping people new to contemplation develop their own discipline or to give ideas when what you’ve been doing forever seems to have grown stale. Another name for direction is spiritual companion — sometimes it is just nice to have someone listening alongside you on the journey. You can find more information and maybe information on a spiritual director near you on http://www.sdiworld.org. And if there are none in your area — that was true for me for a while — some (like me!) will do direction online too! My most treasured spiritual discipline is Sabbath. Years ago a Methodist clergywoman responded to an invitation from me that she appreciated the invitation but that the event was happening during her Sabbath and she would be unable to attend. I later questioned her at length and she inspired me to carve out my own Sabbath habit. My goal is always to change my habits for one Sundown to Sundown stretch each week. I have come to count as Sabbath any such period where I do not spend money or drive my car. Refraining from those two activities have significantly changed the ordering of my other six days and cause me to be reminded throughout each Sabbath Day of all that the Lord has done for me – including mandating that I rest.